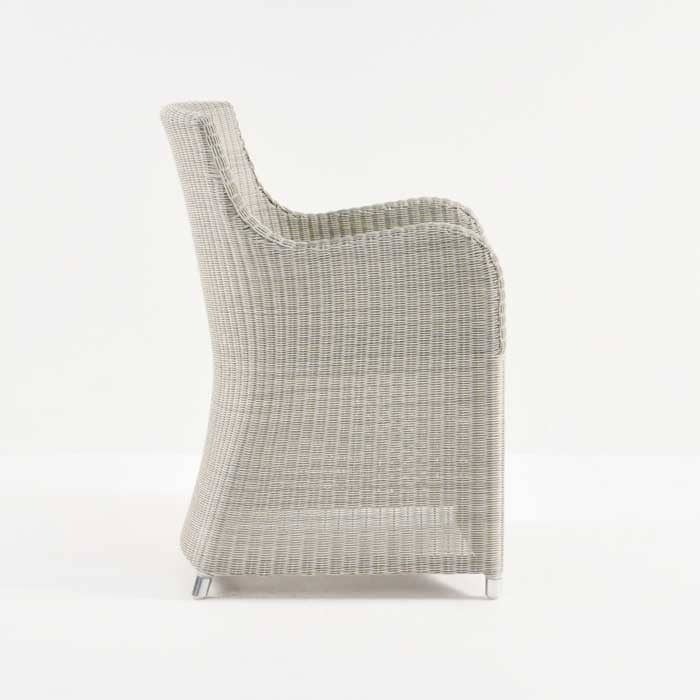 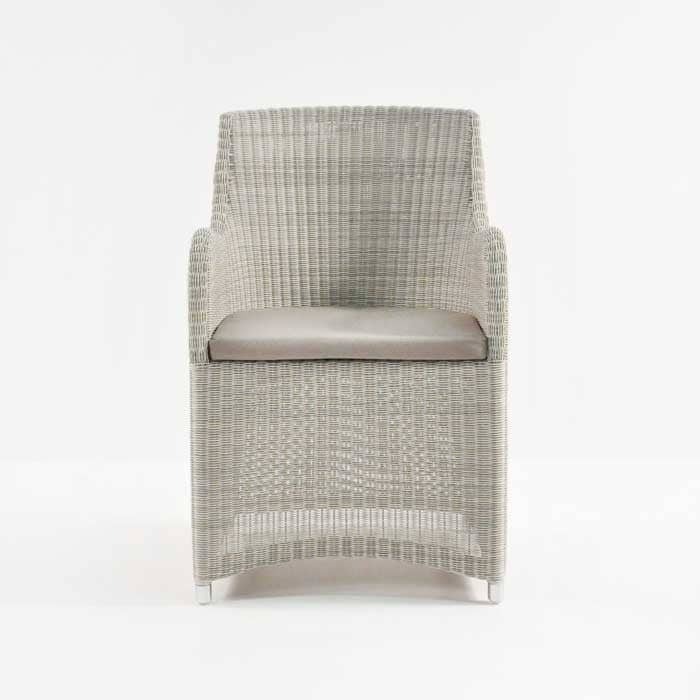 The Moni Outdoor Wicker Dining Chair, is a best seller at Design Warehouse for its ability to go between a dining and a relaxing chair. 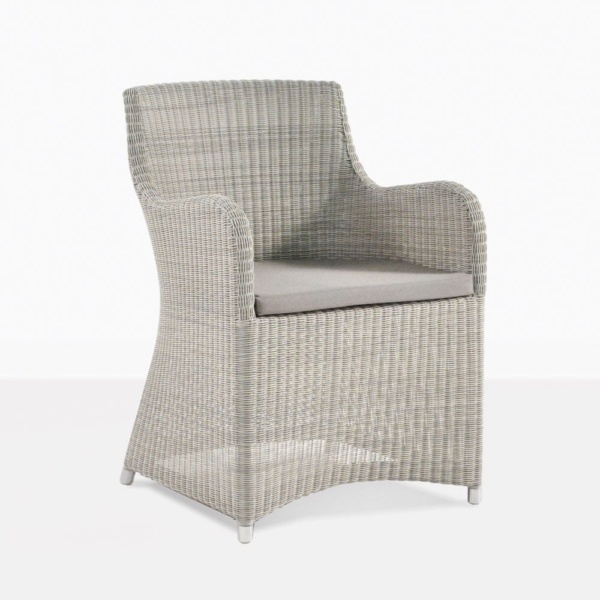 Its charisma, light and airy style is perfect to mix and match with any outdoor dining table for an eclectic look. 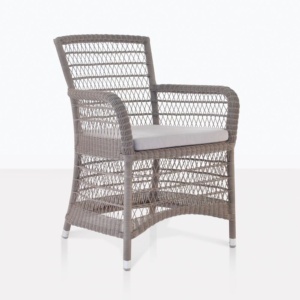 Pair up with the Tuscan or the Rustic Tables for a really brilliant contrast between the Recycled Teak and Viro Wicker. 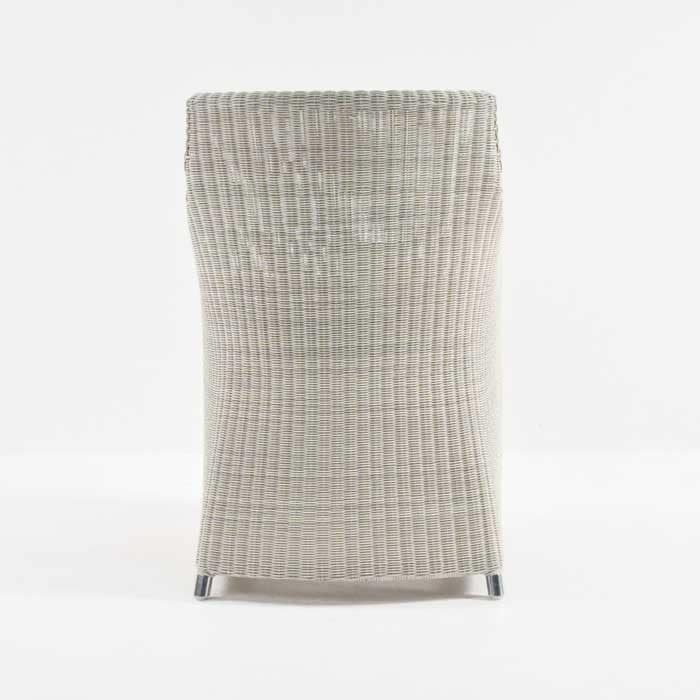 Shown here in Whitewash, Moni is also available in our new colours, Sand and Antique Java Brown.